Yesterday I posted a video showing some of the most popular products on the makeup scene. Many refer to them as the Coastal Scents palettes, but they are actually mass produced makeup palettes made overseas. Companies like Coastal Scents buy them and bulk and distribute them at a discounted rate. Until now I had never tried these palettes. To be honest, I was a little skeptical. I know that oftentimes, large no-name palettes suffer in terms of quality. I have several MAC palettes and two Yaby palettes which were awesome. I didn't want to fall into the hype and be disappointed. However, one of my new initiatives in terms of my beauty blog and YouTube channel is to do tutorials and looks that most of my audience can recreate. I realize that many of you have these palettes. 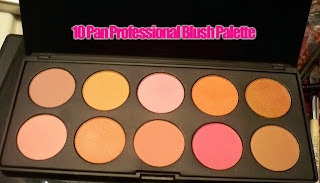 The point of my video is to show you that there are other sources for these palettes besides Coastal Scents. I've found them cheaper on Stars Makeup Haven. On top of this, they're not always sold out like Coastal Scents! I've heard you can also find them on Ebay...but if you want it from a reputable seller, I'd go with the former. Hopefully I don't get any backlash from Coastal Scents...I've heard that sometimes they get a little crunk with people who offer less than positive feedback. Overall, this is a decent blush palette. Most of the colors are on the sheer side except the bride orange and pink. I was able to get most of them show by layering them on, but you may want to skip this if you're skin tone is darker than mine. 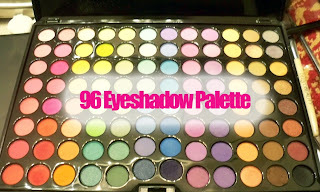 96 E/S palette: This is not on the Coastal Scents site. It retails for $24.95 on Stars Makeup Haven. This is my favorite palette of them all. The colors are super bright and there are so many to choose from. I wasn't disappointed with the pigmentation. However, you do need a base with these. I noticed that if you don't, the shadows start to disappear when you blend. However, I wear a base with all eyeshadows regardless. I'd definitely recommend. I compared this side by side with the 88 palette and this one is far better. I also wore the shadows in this palette in my Naughty Valentines Day look video. I was a little iffy on this palette at first. A lot of colors are cool toned and have a tendency to give you that ashy effect. The key is to use a base again, and to pick the colors in the palette that work for you...mix and match. After a while, I found out which ones work for me. For the size of the eyeshadows and the price though, it's a great deal. 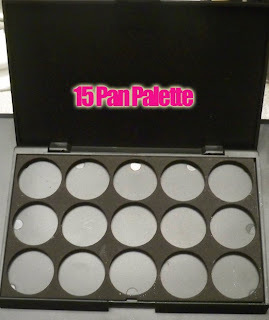 15 pan palette: $6.95 on Stars Makeup Haven. They don't offer the empty palette on Coastal Scents, just the one with pans. I like this one more since I'm a depotter...and I don't usually need extra pans since I don't do much pigment pressing. I actually just ripped out the foam insert and lined the bottom with an adhesive magnet sheet. Stars Makeup Haven sells the adhesive sheet. Then you can fit a few more eyeshadows in. This palette is smaller than the MAC 15 palette and also great for traveling. I'm going to probably bring this with me to the Philippines since it's small enough to fit in my makeup bag. 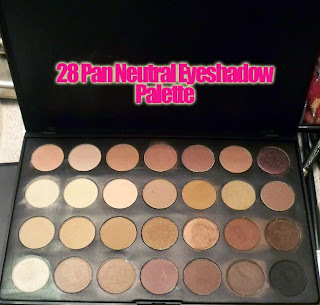 28 Pan Palette: They only offer this at Stars Makeup Haven for $10.95. With both empty palettes, you have the option of getting it with pans for about $1-$2 more. Talk about a lot of room for an eyeshadow palette! This is great for a large gig where you don't want to have a million palettes floating around. I'll probably do the same with this one and rip out the foam so I can just have a freeform palette to put in my MAC blush and eyeshadow pans. So I hope my review helped some of you out. The bottom line is that both companies offer similar goods...but one company offers it cheaper. You can also get rare MAC and other high end goods from Stars Makeup Haven while you're there...i've gotten MAC pigment samples from them before and have been very pleased! Stay tuned for tomorrow's video, my Rihanna Celebrity Makeup Tutorial. Hey Ren, do u think that the 96 palette lasts longer than the 88? I have noticed that even with a base, the 88 colors fade after a few hours. Thanks for point these out. I'm addicted to depotting and trying to organize everything. I bought some palettes from AveYou.com that work pretty well w/ MAC/NYX/Ulta e/s and others. 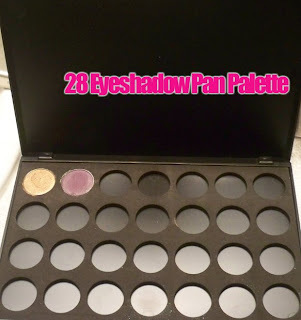 I'm really interested in the empty 28 palette. Haha with the Coastal Scents getting crunk. They shouldn't be like that. Bloggers need to be honest. What's the point of reviews if you aren't. So thank you for being honest. So the empty palettes fit the Mac eye shadows right? I actually recently ordered the 26 Shadow Blush Combo Palette from an Ebay seller and I really like it so far. It was SO much cheaper than Coastal Scents, too! I've heard how unprofessional CS can be so I don't think I'll order from them anytime soon. Thanks for letting people know they have other options. damn that's a lot of shadows! when u come to nyc we can eat at jollibee and do laps around the block after stuffing ourselves! Hi there-great review my dear, thanks for sharing and have a lovely day my dear! yayyy! you mentioned me in your vid :) i had to rewind it, i was like did she just say joy?? lol but yea i was liking your palette way better than my 88 from cs. lmao @ them "getting crunk"
Awesome resource Ren! Thanks babe!